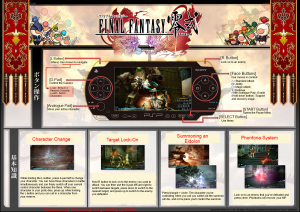 Earlier today, Square Enix made good on its promise to launch a playable demo of Final Fantasy Type-0 for the PSP. With graphics that easily challenge the system’s best and a theme song by Japanese rock sensation Bump of Chicken, the game is now being given a test run by thousands of hungry gamers. Wanna play it? Here’s how. If you feel like taking the long way, you can go to the Japanese PSN store or Square Enix’s download site and follow the instructions…or real men can just right click here and save the file. Attach your PSP to your computer by whatever means you usually use. When the download finishes, unzip its contents with a program such as Winrar or Winzip, and make your unzip location the GAME folder of the PSP. You should be good to go, though you’ll likely need to update your firmware. 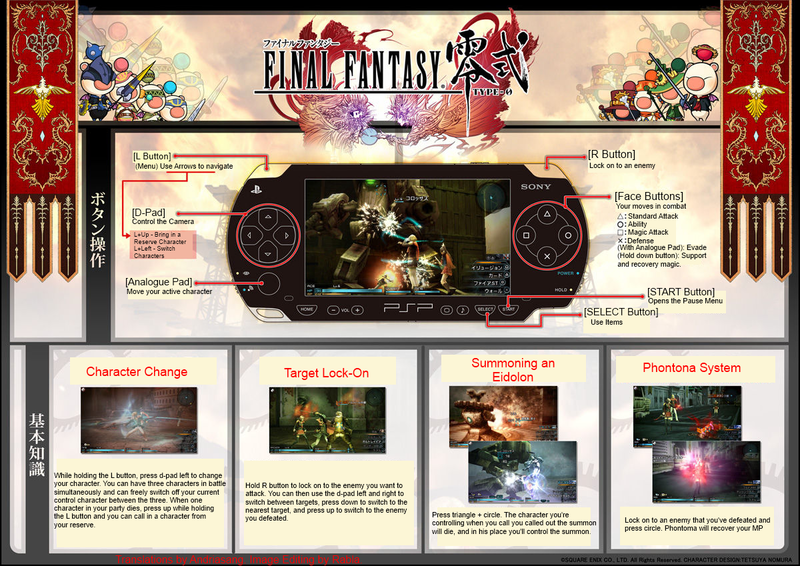 Below are the controls, mapped out in English. Thanks for that image go out Rabla over at Neoseeker. If you do end up giving the game a whirl, let others know how it went in the comments.